BFT BGV Kit For Electric Barrier Operation. 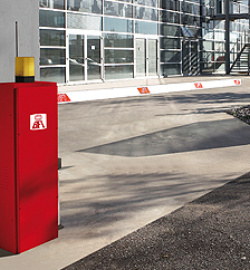 BGV: Electromechanical operator for road barrier suitable for heavy traffic fast speed, 2.5 sec opening time. Boom excluded. 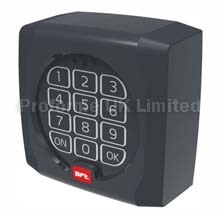 Including Orion G BR control unit. Available with boom lengths up to 7m. Also Available : BVG 30 INOX, BVG 45, BVG45 INOX, BVG 60, BVG 60 INOX, BVG 45 90°, BVG 45 180°, BVG 60 90° AND BVG 60 180°. Download BVG PDF File. Here. 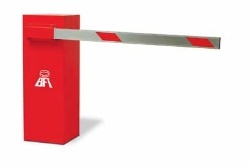 1 x BVG 30 Barrier red. 3 - 12 sec opening times. 3m - 7m Boom length.